It's the most wonderful time of the year! 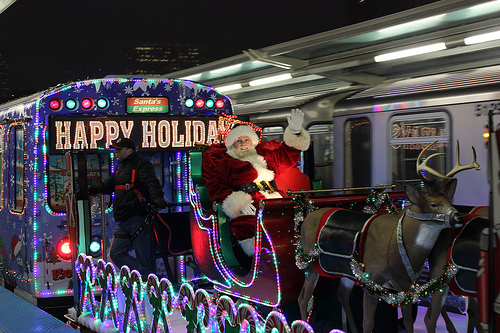 We love the CTA Holiday Train, and with the Purple Line now stopping at Wilson, Uptown now gets a double dose. 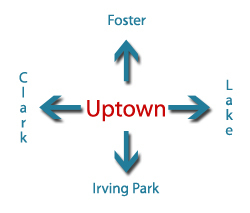 Saturday, December 16 -- one round trip on the Red Line, with Purple Line shuttle service north from Howard to Linden. There will be photo opportunities with Santa at Linden 4:45pm–5:30pm (Purple Line); at Howard 11:15am-noon (Red Line); and at 95th 1:45pm-2:30pm (Red Line). See the entire schedule here. Sunday, December 17 - Wednesday December 20 -- not in public service.